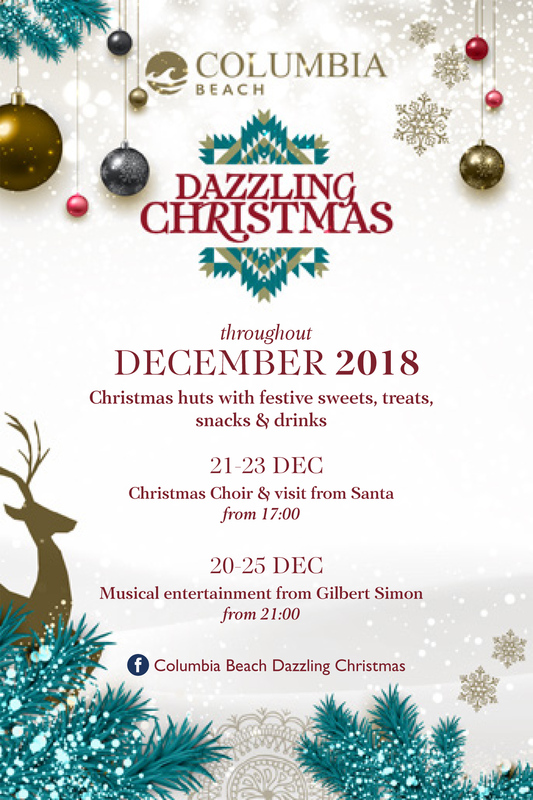 DAZZLING CHRISTMAS AT COLUMBIA BEACH! Looking for a festive spot to mingle and enjoy with your loved ones this Christmas? You got it! 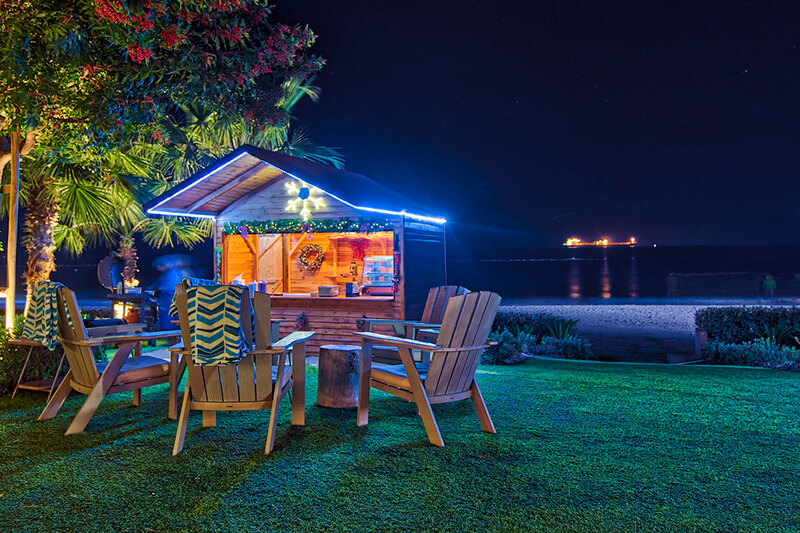 This year, Columbia Beach reinterprets the holidays creating a magical beachside winter wonderland in a mesmerizing combination of festive spirit… and true islander soul. So get your holiday jumpers out, grab your friends and family and head for a ‘Dazzling Christmas’ experience like no other. 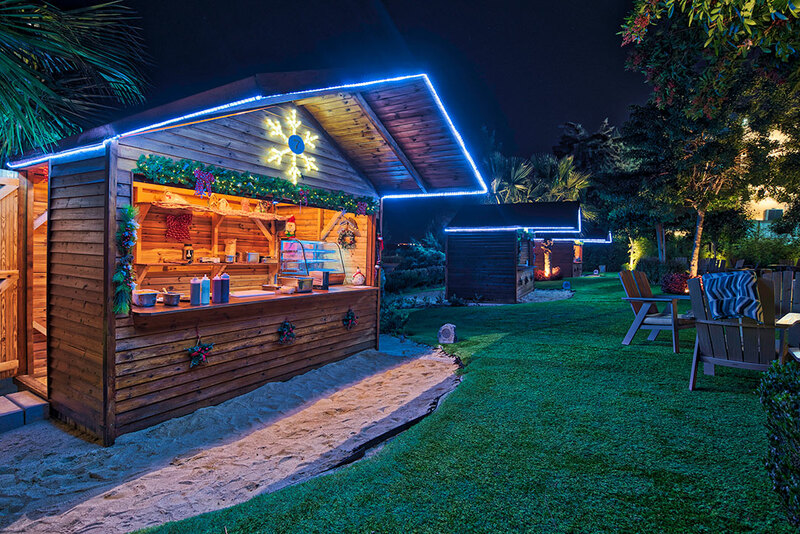 Throughout December, Columbia Beach invites you to walk through beautiful Christmas huts in the garden area, enjoy the twinkling fairy lights amidst the lush green grass and take in the enticing smells of artisan holiday sweets, dancing with the fresh sea breeze. 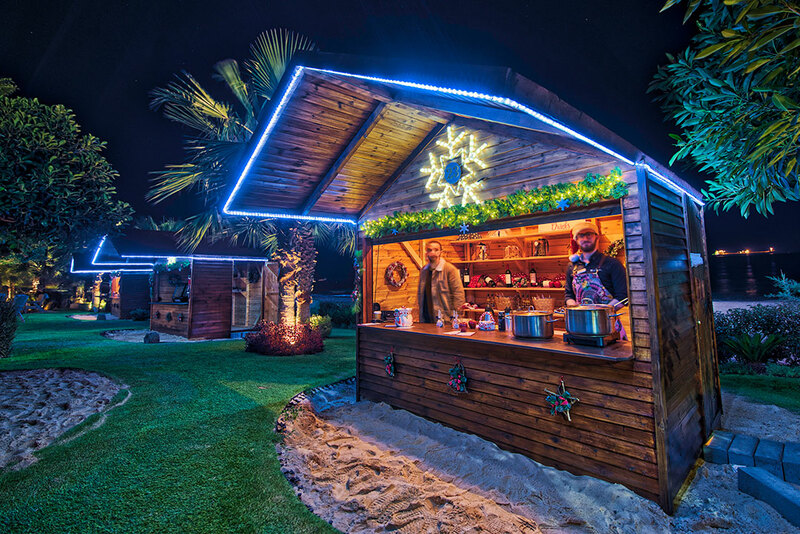 Choose your very own gingerbread houses, Christmas cakes, mouth-watering marshmallows, delicious cookies, traditional Cypriot seasonal bites and tempting snacks while sipping on warm mulled wine and digging into perfectly roasted chestnuts. 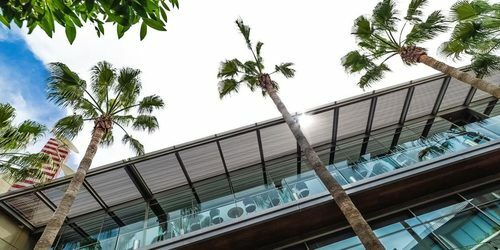 Feel the true warmth of the season with a jam-packed program of sensational yuletide activities like Christmas Choir concerts and exciting visits from Santa with gifts for your young ones as well as amped up energetic performances by Gilbert Simon in the evenings. Just make sure you visit our Facebook page to check out the whole agenda, because this ‘dazzling’ promise… is one of pure Christmas bliss. Our Christmas huts are now in full effect!